Do you ever have the craving for something sweet during late in the night? For me, it is usually when Hubby and I are relaxing and watching our cable television after dinner that I will have this sudden urge to have something tangy yet sweet. If it is just that, a quick assorted fruits salad would probably do the trick. But, just sometime, I would wish for it to be more perfect by being icy cold. Something like an ice-cream but not as creamy. This Orange Buttermilk Popsicle is a perfect solution for me! These popsicles are sweet and tangy in taste and there is really no simpler recipe for these goodies. If you know me, you would know that my cooking style is pretty much, simple, simple, simple. I truly believe in doing more with less and believe me, this simple frozen treat here get you smiling in the recent hot weather. 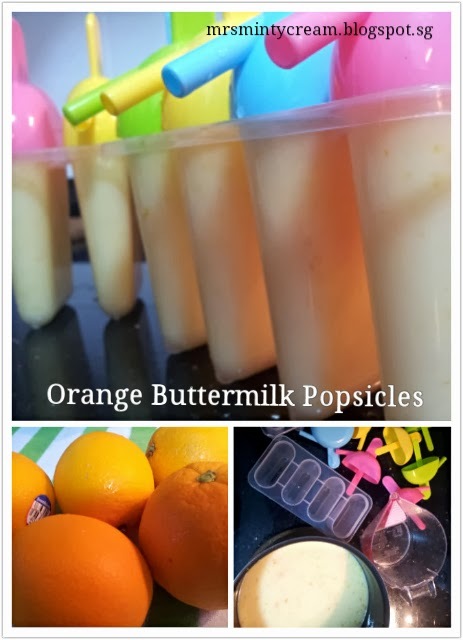 The original recipe was meant for lemon popsicles but since I have some buttermilk and plenty of oranges sitting in the refrigerator, I thought why not change it out a little. And the result is , SWEET! 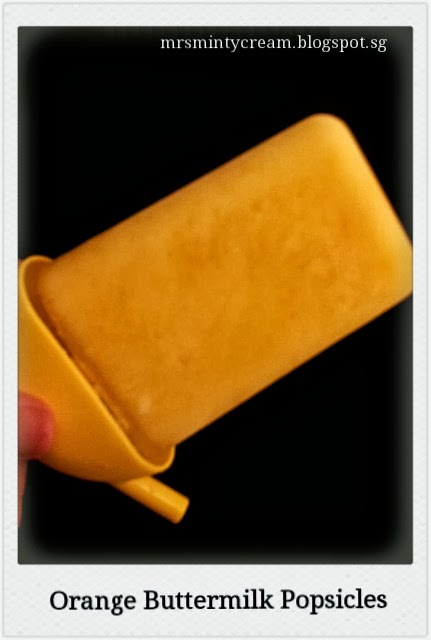 If you like something healthier and not-as-sweet, you should probably be looking at my Mango Yogurt Popsicles instead. 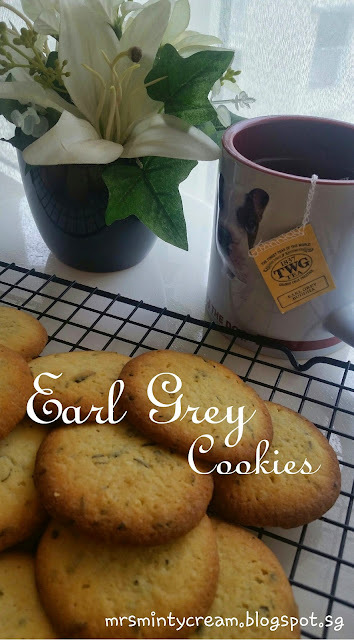 But if you are ready to give yourself a sweet treat over the weekend, try this recipe out! It will not disappoint you. 1. In a saucepan, heat the sugar and water under medium-high heat. Stir well until all the sugar has dissolved. Set aside for syrup to cool. 2. Add the juice and zest from 2 medium-size oranges into the syrup and stir. If you do not like to have the orange zest in your popsicles, you may omit the orange zest portion and at the same time, strain the orange juice before adding it to the sugar syrup in Step (1). 3. Add in the buttermilk to the syrup mixture and mix well. 6. When removing popsicles from moulds, place the moulds under running water. This will ensure that the popsicles come out smoothly from the moulds. Thanks Monica! So glad that you feel the same. As I told you, I will be trying out your recipe with lemons/limes next. I'm looking forward to that! Cheers!